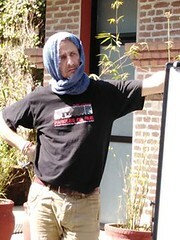 Dynamo International – Street Workers Network | A new youth forum “Words from the Street” in 2020? A “Words from the Street” forum is an international event of awareness-raising, networking and advocacy on street issues with the goal of creating commitments to defend human rights through coherent strategies and long term partnerships at the grassroots level. 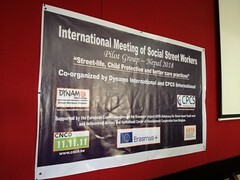 Two events have already been organized by Dynamo International – Street Workers Network with the label “Words from the Street”. In 2002, the first youth forum launched the movement, the 2nd in 2010 strengthened it. The aim is to reorganize a “Words from the Street” forum in 2020 to confirm the Network’s commitment, positions, presence and to recall the issues of the fight against the exclusion of people in street situations. The Pilot Group will dedicate a working sessionon this project in Nepal in October 2018. These multi-stakeholder fora include representatives of the European Union, local and national authorities, international organizations, social workers, NGOs, academics, businesses, the media, citizens and of course children and people in street situation. This is the opportunity, 10 years after the last “Paroles de rue”, to evaluate the progress made against the recommendations made in 2010, to take stock of the commitments made by the various actors against the exclusion of people in street situations and respect for their rights, and to take stock of the 2020 objectives of the European Union. In 2020, the Pilot Group will be held in Europe, an opportunity to mutualise these two events. What would be objectives of a 3rd youth forum “Words from the Street”?